Earlier today I hosted a video Bible study on Heaven and Hell. 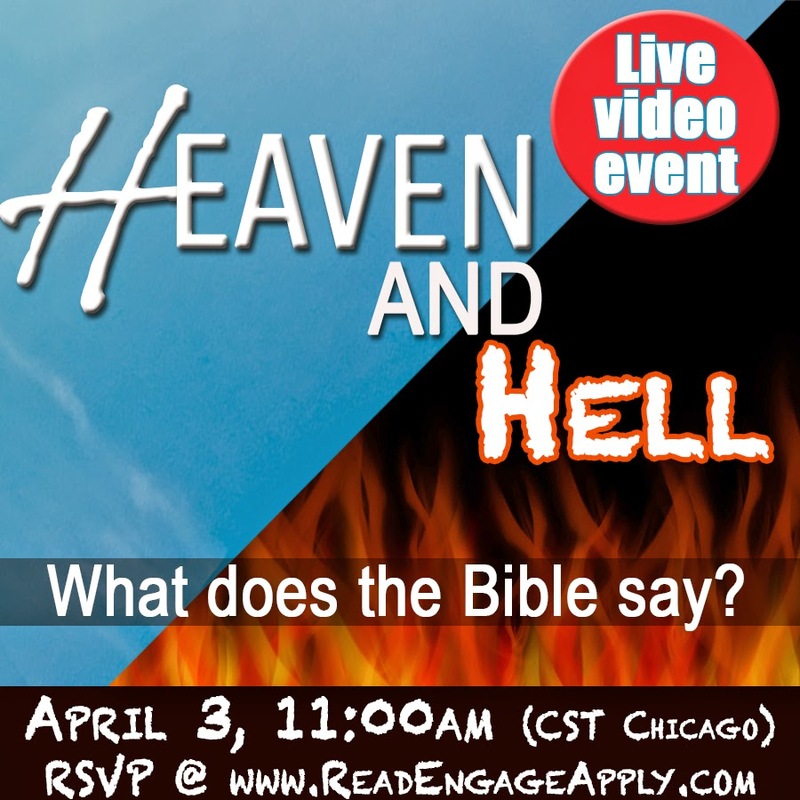 This 25 minute Bible study was inspired by new book: Heaven & Hell: Are They Real? Here's the link to the archived version of the broadcast. I will be here, I'm so excited! Thank you for the opportunity to learn, engage and apply! Perfect! Donna, glad you'll join in! I'm excited about the event! The same link will work to watch it later if you miss the live event. God led me to it. Thank you.